This article is the second in a series we’ll be posting about how a city's infrastructure impacts its residents. What makes a city “walkable”? How is this related to infrastructure? What impacts does it have on citizens? As our current demographics are changing, we are seeing a shift in housing priorities due to the two largest generations in American history, the baby boomers (born 1946-1964) and the millennials (born 1979-1996). Many baby boomers are now approaching retirement and downsizing since they no longer live with their children. This makes walkable neighborhoods more appealing to them, located in the denser areas like city and suburban town centers. Millennials also prefer these areas for the way of life and because it easy not to own a car. The Realtor’s survey found that currently only 12 percent of future homeowners favor houses in the “suburban-fringe” that rely completely on driving. By contrast, the most expensive housing on the market today is found in high-density and pedestrian friendly neighborhoods. 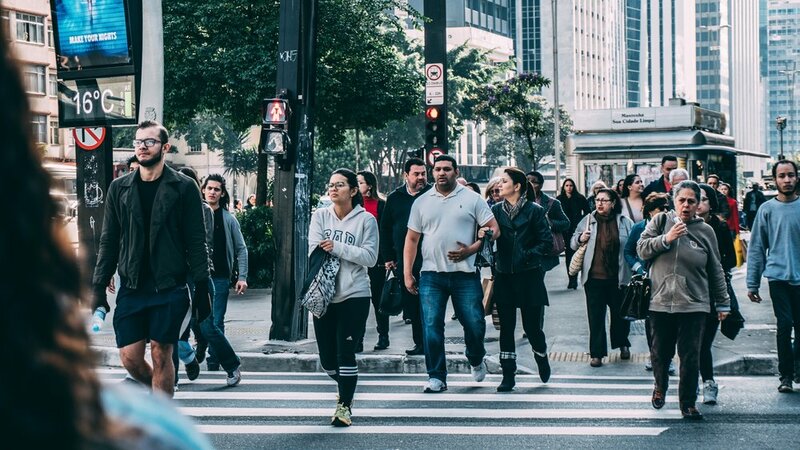 Ultimately, walkable cities provide many benefits to their residents because they are more economically resilient, healthier and sustainable. In the 1970s the average American family spent 1/10th of their income on transportation, while today it’s about 1/5th. Typically, about 85% of this money spent on driving leaves the region. The city of Portland however, tells a different story. In the 1970s, they invested in bicycling and walking programs, in addition to putting limits on their urban growth which confined the city limits to a set area. Now they drive approximately 20% less than the rest of Americans, and on average drive 4 miles less and 11 minutes less per day than they used to. Additionally, we’ve seen a change in our health as a country since the 1970s. Back then only 1 in 10 Americans were obese, now 1 in 3 are. Studies have compared the impact of diet on weight versus inactivity on weight and found a much higher and stronger correlation between inactivity and weight. So, it may be no surprise that other studies have found links to weight from where you live, showing that people in unwalkable neighborhoods are 60% likely to be overweight, compared to only 35% in walkable neighborhoods. Cars and trucks are also a source of air pollution in cities, which contributes to various health issues including asthma, an illness that affects approximately 1 in 12 American adults. Studies also show that children who live or go to school near high-traffic roads have an increased asthma risk. Lastly, making more walkable cities has a positive impact on the environment. Looking at CO2 emissions per household, city centers have the lowest level of emissions, and the outskirts of the city have the highest. Cities that are denser also contribute less CO2 emissions than other cities, for example the average Manhattan resident consumes half the amount of gas that the average Dallas resident does. Furthermore, more walkable cities usually have better rankings on the Mercer quality of life survey. The top 5 US cities in the survey – San Francisco, Boston, Honolulu, Seattle and New York City - all have their high walkability in common. According to Walk Score’s® 2017 rankings these cities were rated 3rd, 4th, 23rd, 10th and 1st most walkable in the US, respectively. Walk Score® is a common way that people can identify how walkable a city or address is. The methodology analyzes walking routes to nearby amenities and awards points based on distance. Services within a five-minute walk get maximum points and no points are assigned if the service is located outside a 30 minute walk. Friendliness towards pedestrians is also measured by analyzing population density, block length and intersection intensity. Cities making interventions to become more walkable should consider investing in mixed-use land with pedestrian connections and greater street / sidewalk connectivity. Furthermore, accessible and reliable public transportation can also motivate people to consider alternatives to driving. Check out the rest of our series about how a city's infrastructure impacts its residents: Transportation Infrastructure, Growth and Infrastructure in a Growing City, Building Accessible Infrastructure for Everyone, and Air Quality, Infrastructure and Public Health. 1. Leinberger, Christopher. "The death of the fringe suburb." New York Times 25 (2011). 2. Speck, Jeff. “The Walkable City.” TEDCity2.0. Sept. 2013. Lecture. 3. Kedinger-Cecil, Kally. "Hard to Breath: An Analysis of How Community Planning Principles Can Reduce Elevated Asthma Rates in Low-Income and Minority Neighborhoods in the Sacramento Region." (2014). 4. “Columbus Housing Market.” Redfin, Redfin Corporation. 5. “Walk Score.” Walk Score, www.walkscore.com.